Sometimes conservation controversies explode so fast in one place that it becomes almost white-hot. That’s what’s happening right now in the Amazon—with a cyclonic mix of good and bad news. We summarize here some of the key highlights. 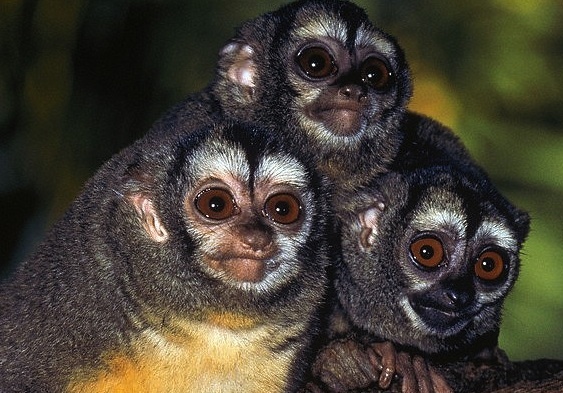 First, Peru has just declared an expansive new national park in the Amazon. Yaguas National Park encompasses the biologically richest ecosystems on the planet, and will span about 870,000 hectares (nearly 2.2 million acres) along the Putumayo River in northeastern Peru. The new park sustains two-thirds of Peru’s freshwater fish species as well as thousands of plants, birds, and other fauna. In addition to protecting nature, the park will benefit indigenous residents by helping to limit illegal logging and gold mining—which threaten their health and livelihoods. Fingers crossed for this vital new park. 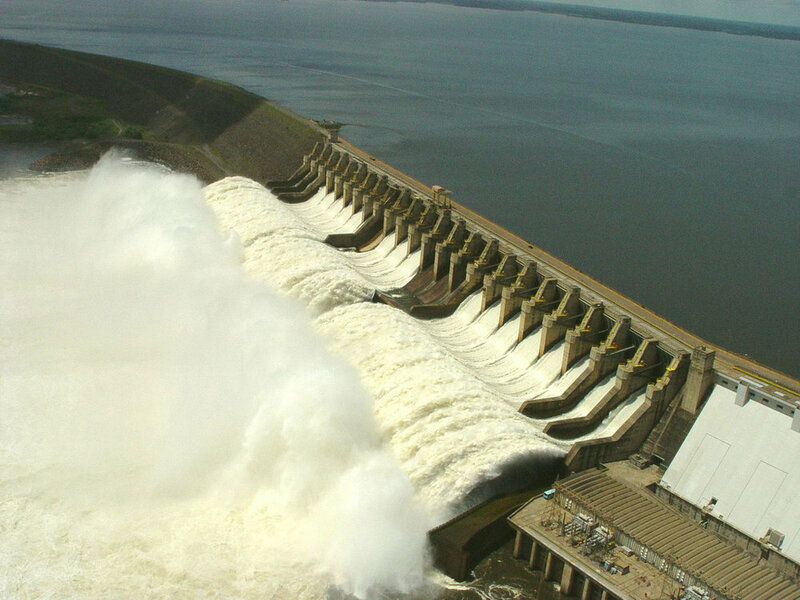 Second, in what could become an earth-shaking precedent, Brazil has just backed away from its intensely controversial policy of building giant hydropower dams in the Amazon Basin. Such dams not only flood large areas of forest—seriously harming biodiversity, generating major greenhouse-gas emissions, and displacing local peoples—but also require networks of new roads for dam construction and maintenance. By cutting into intact forests, such roads often catalyze sharp increases in forest destruction and degradation—such as fires, illegal mining, poaching, and illicit logging. The government of Brazilian President Michel Temer—facing possible impeachment for corruption allegations and barely clinging to political power—has traditionally favored the planned mega-dams. Why the sudden change in policy? ALERT’s Philip Fearnside, a top Amazon expert, suggests the move has been prompted both by resistance from environmental and indigenous groups, and by the ongoing corruption allegations—particularly those involving hefty government contracts awarded to corporations for dam construction. Brazil’s suffering economy hasn’t helped either. Whatever the reason, the Temer government has correctly decided—at least for now—to halt one of the most environmentally dangerous and financially risky policies in the Amazon. In terms of ‘bad news’, one need look only at the incredible spate of ongoing, planned, and proposed road projects in Amazonia. If constructed in their entirety, these projects would massively fragment and degrade the world’s largest rainforest. For example, there is the massive Manaus-Porto Velho Highway (BR-319), which could help to chop the Amazon in half (see this recent ALERT video). Beyond this, Peru is funding an avalanche of new roads near its border with Brazil. A recent study suggests these roads, if completed, would lead to the loss of over 270,000 hectares of forest (680,000 acres). Potentially worse is a proposed highway between Iquitos and Saramiriza in northern Peru—a project that would cut a massive swath through the Peruvian Amazon, including key protected areas and indigenous reserves. This proposal is not yet funded, but if it proceeds it would be incredibly dangerous environmentally and socially. Peru’s president, Pedro Pablo Kuczynski, is formally supporting it, although his own Ministry of Transport does not. Keep your eyes on the Iquitos-Saramiriza highway—a potential disaster for the Peruvian Amazon. And a final alarm bell: scientists have just learned that deforestation rates in the Brazilian Amazon are much higher than was previously thought. The European Community’s new Sentinel satellites—which have much better spatial resolution than the U.S. Landsat satellites used for the past several decades—are finding much more destroyed or damaged forests on the ground. 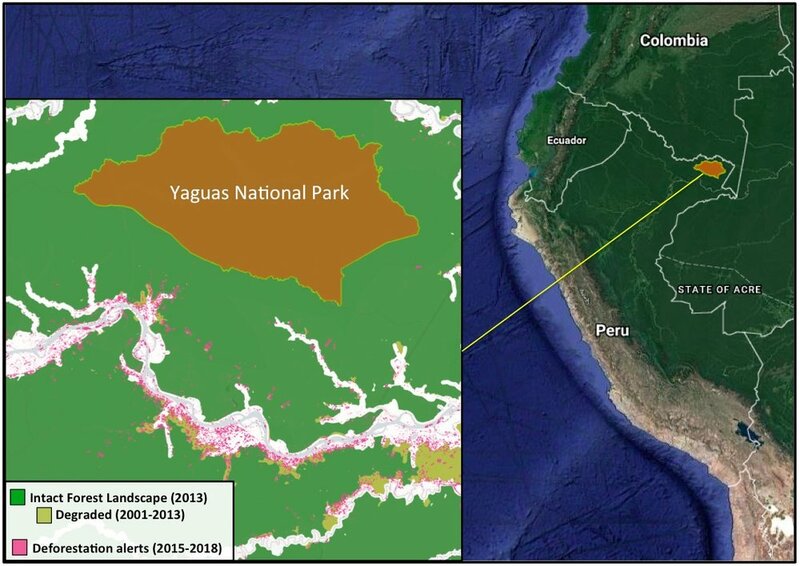 With a more accurate picture, it turns out that the Amazon is in considerably worse shape than we thought before. Many forests that were formerly assumed to be intact are actually logged or fragmented. 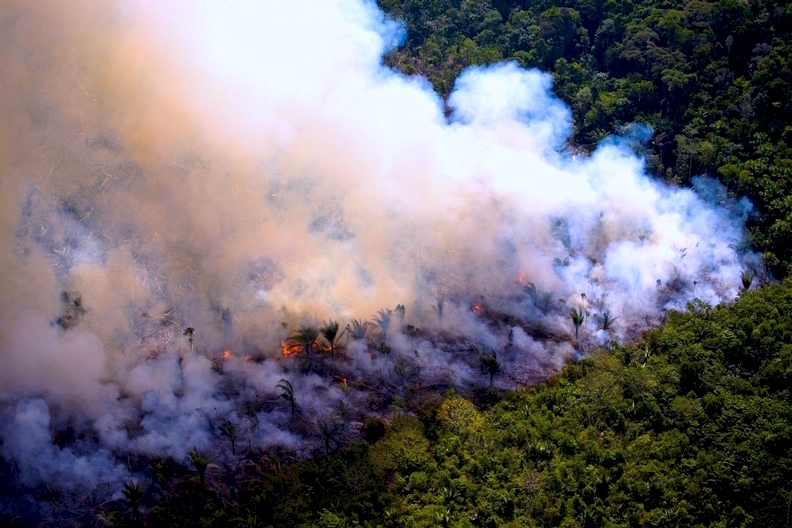 This is important because degraded forests are particularly vulnerable to fire—as evidenced by large areas of damaged forest that are currently aflame in the Amazon. One could list various other worries—a wild government plan to deforest much of Beni Province in Bolivia, or China’s massive railway scheme that would cut right across South America—but the examples above make the point. The Amazon is boiling right now, with both good and bad news. It’s a crucial time for conservationists to raise their game. An unknown number of tropical species, such as certain birds, bats, and moths, migrate up and down elevational gradients over the year, tracking seasonal changes in the abundance of fruits, nectar, or insect prey. Others, notably birds such as warblers and some raptors, undertake much longer-distance migrations, wintering in the tropics while breeding in far-away temperate regions. Manu National Park in Peru, where I have long worked, also has its share of migrators, along with being one of the most biologically stunning places on Earth. Certain fish, birds, and mammals at Manu appear to move large distances during the course of the year. But as we begin to learn more about these migratory species, we increasingly suspect they could be vulnerable to escalating human pressures in this region. For instance, just downstream of Manu, on the Madre de Dios River, huge areas of river and riparian forest are being devastated by illegal gold mining. Among these impacts is contamination of the rivers by toxic mercury, which is used by miners to separate gold from river sediments. Since 2010, biologists at Cocha Cashu Biological Station at Manu have used cutting-edge satellite telemetry to track some of the park’s rare and endangered birds -- many of which are very poorly known. One key reason to do this is to learn where these species go when they move outside the park, where they may be highly vulnerable. In a new study, I and my colleagues report our research on Black Skimmers (Rynchops niger), an elegant bird that skims over water surfaces while flying, in order to catch unwary fish. To do this it uses its uniquely elongated lower beak, which it drags through the water and which instantly snaps shut when it contacts a fish. We found that Skimmers tagged in Manu move extremely long distances both during and outside their breeding season. I would liken our Black Skimmers to “Albatrosses of the Amazon" -- they fly surprisingly long distances, even in the breeding season, and seem to soar effortlessly. We found that some Black Skimmers move not only to other watersheds in Peru but even to other nations, including Brazil and Bolivia, during their breeding season. Unfortunately, some of these areas are being severely degraded by illegal gold mining. Remarkably, some of the birds tagged inside Manu even crossed the Peruvian Andes -- flying above 5,000 meters in altitude to cross the towering Andes mountains -- in order to spend their non-breeding season along the Pacific coasts of Peru and Chile. But the Skimmers face hazards on the Pacific coast as well. Many of the natural wetlands they need for feeding are being severely depleted by the extraction of freshwater for agriculture. Some Skimmers may go even farther afield. One bird radio-tagged in Manu moved not to the Pacific but southeast to Bolivia and then even further to Paraguay. Its transmitter stopped at that point but it may have been heading to Argentina’s Atlantic coast, where large numbers of Skimmers are known to summer. With rising development pressures, threats to large-distance migrators like Black Skimmers will only increase. Both Peru and Brazil plan to dramatically increasing the damming of wild rivers in the Amazon and Andean headwaters. Agriculture and mining activities are also expanding apace. Scores of new dams are being planned (yellow) in the Amazon-Andes region (blue symbols indicate existing dams). Species that need freshwater for survival and migration, and the ecological processes that sustain such species, will be intensely vulnerable. The recent collapse of a poorly constructed mining dam on the Doce River in Brazil devastated aquatic wildlife across a vast area that stretched for more than 500 kilometers to the sea. The lax environmental standards that allowed this catastrophe to occur should give us all pause, as we consider the avalanche of new development projects slated for the greater Amazon region. Especially alarming is how little we know about the ecology of the Amazon and its many natural denizens -- some of which evidently traverse and require vast areas of habitat for survival. New high-tech methods are giving scientists and conservationists a fighting chance to detect illegal deforestation -- before it's too late to save imperiled forests. Here, Matt Finer, a researcher who's long worked in the western Amazon and Andes, tells us about his efforts to map the array of growing threats to the forests of Peru. The Andean Amazon still has large tracts of mega-diverse, carbon-rich, and relatively intact tropical forest, making it one of the top conservation priorities in the world. However, the array of threats facing the region is rapidly growing. A key problem hindering conservation and management efforts in the Andean Amazon is a lack of near real-time deforestation information. In recent years, we've seen major advances in tracking deforestation, but this information is often given to authorities far too late for enforcement action. Two new satellite-based monitoring systems, Global Forest Watch and Terra-i, have made major strides towards real-time deforestation monitoring. However, these systems, which are global-scale and based on moderate-resolution (250-500 meter) satellite data, often need further analysis to be relevant for Amazonian conservation. The organization I work with, the Amazon Conservation Association (ACA), is using Landsat imagery (with 30-meter resolution) and special software (known as CLASlite) to rapidly detect forest loss. ACA recently launched a new web portal, known as MAAP -- the Monitoring of the Andean Amazon Project -- to make our results widely available. We're focusing initially on the Peruvian Amazon, with plans to expand to Bolivia and Ecuador. Three of our reports (Images #1, #5, and #6) focus on the spread of illegal gold mining in the Madre de Dios region of Peru. Notably, we found deforestation encroaching into the buffer zone of Tambopata National Reserve and entering the Amarakaeri Communal Reserve. 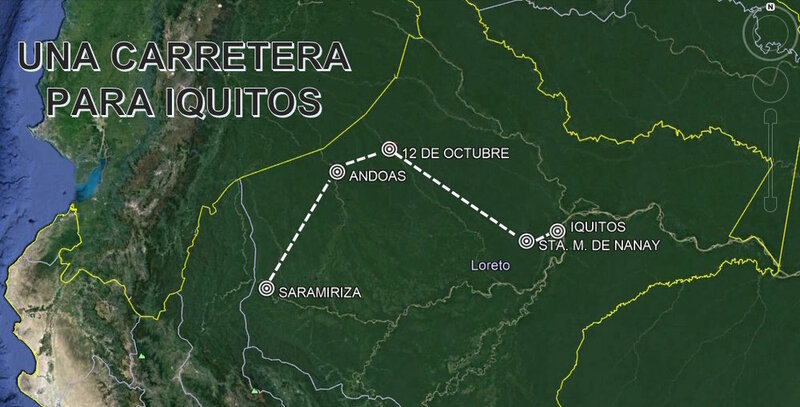 Images #2 and #9 map a so-called “sustainable” cacao operation that is actually clearing expanses of primary forest. The focus of an ALERT campaign, the legality of this deforestation is highly questionable. Images #3 and #7 show that we can detect new logging roads. This is vital because illegal logging is challenging to detect with satellite imagery. But now we can readily find logging roads and point authorities to where illegal loggers are likely active. Image #8 shows how Landsat and high-resolution imagery can be combined to map a new illegal coca plantation, in this case deep within the proposed Sierra del Divisor National Park. Finally, Image #4 reveals a rapidly emerging threat, oil palm. Oil palm has caused major impacts in Southeast Asia and is quickly expanding in central and northern Peru. In the near future, MAAP will continue tracking deforestation in the Andean Amazon while aiming to promote better law enforcement and policies to reduce illegal forest loss. To receive our reports, just email us (maap@amazonconservation.org) with the word "Subscribe" in the subject line. MAAP is a groundbreaking effort to shine a light on environmentally irreplaceable areas where illegal loggers, miners, and forest destroyers are running rampant. 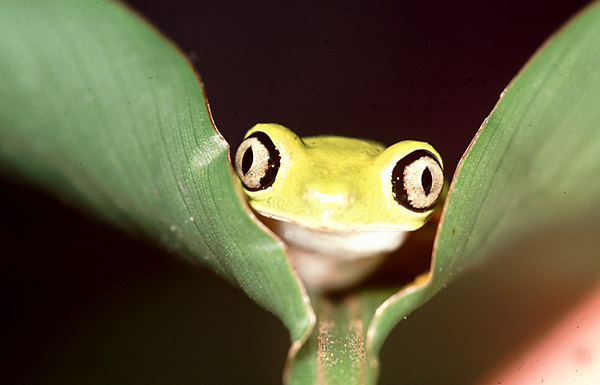 Please help us to save some of the world's most biologically rich and imperiled ecosystems! Here are three recent news items about United Cacao, the corporation that claims to be producing 'sustainable' cacao -- the main ingredient in chocolate -- but has been accused by ALERT of destroying over 2,000 hectares of biodiversity-rich rainforest in Peru. 1) In recent days the share price of United Cacao has fallen by around $25, a 14% drop in its share value. 2) We have just learned that on 9 December 2014, the Peruvian subsidiary of United Cacao -- known as Cacao del Peru Norte -- was ordered by the Peruvian Agricultural Ministry to halt agricultural operations on one of its key properties, named Fundo Tamshivacu, which is located in Mavnas Province. 3) Alarmingly, we have also learned -- via recent reports in the Peruvian newspaper La Region (see here, here, and here) -- that at least 45,000 hectares of forested land in the Peruvian Amazon has been sold to subsidiary companies controlled by Dennis Melka, the owner of United Cacao. This suggests that much larger forest-clearing operations could be planned for the near future -- although whether this would be for cacao, or for another crop such as oil palm, is unknown. The five newly purchased properties -- all dominated by old-growth rainforest -- that have been purchased by subsidiaries of United Cacao in Peru (courtesy of Save America's Forests and the Amazon Conservation Association). Please pass the word: Be strongly advised that investments in United Cacao or any of its Peruvian subsidiaries are likely to promote large-scale forest destruction. It is the opinion of ALERT scientists that this corporation should be shunned by any investor who cares about the environment. Our continued thanks to scientists and journalists working in the region for these updates, especially John C. Cannon and the leading environmental website, Mongabay.com. A corporation that aims to be the world’s biggest supplier of ‘sustainable’ cacao -- the main ingredient in chocolate -- is being accused by ALERT scientists of destroying large expanses of biodiversity-rich forest in Peru. ALERT issued this press release today. The Company, United Cacao, previously raised 10 million pounds on the London Stock Exchange, and is now hoping to raise additional funds on the Lima Stock Exchange in Peru to expand its operations in the Peruvian Amazon. ALERT scientists caution investors that United Cacao’s products may be far from environmentally sustainable, and that they should exercise exceptional caution before investing in the company or its Peruvian subsidiary, Cacao del Peru Norte. “This company has its roots in Southeast Asia’s palm oil industry, which has been a huge driver of forest destruction,” said ALERT director William Laurance. Laurance has conducted research in the Amazon region for nearly 20 years. “World-class scientists at the Carnegie Institution at Stanford University and the Amazon Conservation Association have used satellite data and cutting-edge laser technology to show that United Cacao has recently cleared more than 2,000 hectares of mostly old-growth rainforest in Peru,” said ALERT member Thomas Lovejoy, a long-term Amazon expert and former environmental advisor to three U.S. presidents. A small fraction of the cleared land evidently was farmed in the past, and parts of the forest were likely selectively logged in the 1980s, according to a detailed report in the leading environmental website Mongabay.com, based on thorough investigative research by John C. Cannon. However, the laser technology -- known as LIDAR -- has shown that the carbon stocks contained in the destroyed forests were among the highest known for the Peruvian Amazon, according to Carnegie researcher Greg Asner. 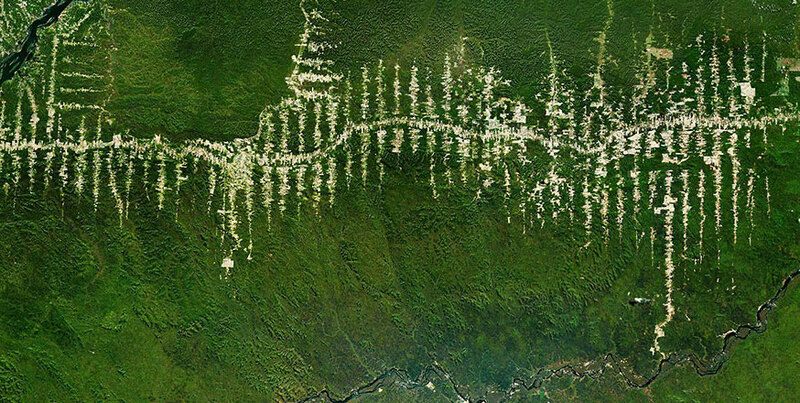 This clearly indicates that the cleared block was formerly dominated by mature or old-growth rainforest. “There’s no way you can clear old-growth rainforest and then claim to produce sustainable cacao,” said Lovejoy. “We see a lot of green-washing among corporations today -- where firms try to appear sustainable but really aren’t,” said ALERT member Lian Pin Koh, an associate professor at the University of Adelaide in Australia. “My fear, based on these recent findings of large-scale forest destruction, is that United Cacao is one of these green-washing corporations,” said Koh.